In theory, the maximum possible Social Security benefit in 2019 for someone who retires at full retirement age is $2,861, up 2.6% YoY. However, in order to collect the maximum benefit, you would need to earn the maximum taxable amount for 35 total years. Given the maximum taxable amount is $132,900 for 2019, this is no easy feat. According to the the U.S. Census Bureau, median household income is only about $62,000 a year and the average household income is about $11,000 higher. Thus, instead of the max $2,861, the average Social Security benefit is roughly $1,461 a month. Receiving a total of $17,532 in Social Security benefits a year is not enough for a comfortable retirement. One of the criticisms from the average retiree spending post is that I didn’t include Social Security as a reason for such high spending, even though I clearly did. Just so we’re crystal, let’s do some further back-of-the-envelope calculations to see what the average retiree has in his or her investment accounts to be able to afford the average spending when we include Social Security. 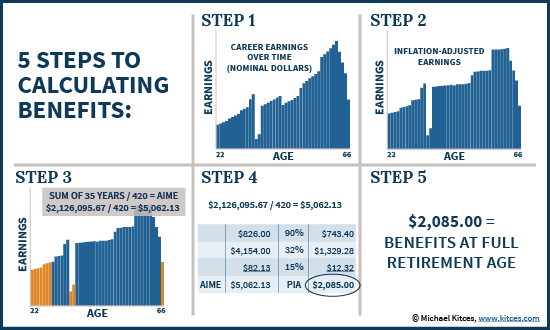 If we are to believe the Bureau of Labor Statistics’ data the average retiree spends $45,756 a year, we can estimate the average retiree needs to make $57,195 in gross income using a 20% effective tax rate (high to be conservative). We then subtract $17,532, the average Social Security benefit, from $57,195 to get $39,663. In other words, $39,663 is the amount of gross income an average retiree must produce from his or her investments to match the BLS data. Or, $39,663 can be viewed as the annual withdrawal rate. If we use an aggressive safe withdrawal or return rate of 5%, the average retiree with Social Security has about $793,260 in their retirement accounts ($39,663 / 5%). If we use a historically safe withdrawal rate of 4%, the average retiree has $991,575 in investments ($39,663 / 4%). If we use an even safer withdrawal rate of 3%, which is probably more appropriate in this low-interest rate environment, then the average retiree has $1,322,100 in investments ($39,663 / 3%). The average retiree having $793,260 – $1,322,100 in investments is a healthy range. In other words, the average retiree who collects Social Security is also a millionaire. This amount also explains some of the pushback in terms of why the average 401(k) is so low. “Americans move around a lot more from job to job these days, meaning they are creating a lot more brand new 401ks each year. Most people don’t roll their 401k balances to their new 401k when they change jobs; they instead roll them to IRAs. Retirees with the largest balances also inevitably roll their 401ks to IRAS when they retire – meaning the average and median 401k balances will always remain skewed to the low end. To be thorough, let’s also look at how pension benefits affect the investment amounts for the average retiree. In the past, pension benefits provided income to nearly one-third of older American retirees. Today, only about 23 percent of American workers have a pension, a percentage that is in continuous decline according to the Pension Rights Center. In 2016, the median pension for adults over 65 who worked in the private sector was worth $9,262 a year. The median federal government pension, meanwhile, was $22,172, and for state and local government pensions, it was $17,576, according to the Pension Rights Center. For those who spent their career working at the state government level, for example, the average pension benefit is $36,131 a year, according to a 2014 report from the American Enterprise Institute. Given about 86% of the workforce work is in the private sector, let’s assume the approximate median pension amount is $12,000. Now let’s do the same calculations again to figure out what the average retirement account balance is for those who are able to collect both Social Security and a pension. $57,195 (average gross retirement spending) – $17,532 (average SS benefit) – $12,000 (median pension) = $27,663. In other words, the average retiree who is able to collect both Social Security and a pension has to come up with $27,663 a year from his or her investments. If we use an aggressive safe withdrawal or return rate of 5%, the average retiree with Social Security and a pension has about $553,260 in their retirement accounts. If we use a 3% withdrawal or return rate, the average retiree with Social Security and a pension has about $922,000 in their retirement accounts. Having $553,260 – $922,000 in investments after the age of 65 is still quite a healthy amount. Now, of course, this retirement amount is much higher than what other research has reported. However, if we are to do the math based on BLS research and standard retirement calculations, $553,260 – $922,000 is quite reasonable. Despite a lot of noise about how dire the American retirement savings figures are, there is a dearth of stories about how millions of Americans are suffering in retirement every day. Why is this? If the median retirement savings in American was really only $5,000 and the average retirement savings was really only $100,000, we’d have a humanitarian crisis! The only logical reason to explain the difference between research figures and reality is that Americans have much more money than people think. We practice stealth wealth, especially from research institutions who ask us how much we have. We’re also resourceful and take action if money is needed. Due to perennial government mismanagement, I’ve never counted on Social Security being there for me. I view the FICA tax as part of my civic contribution to help support my elders who helped develop our country into what it is today. 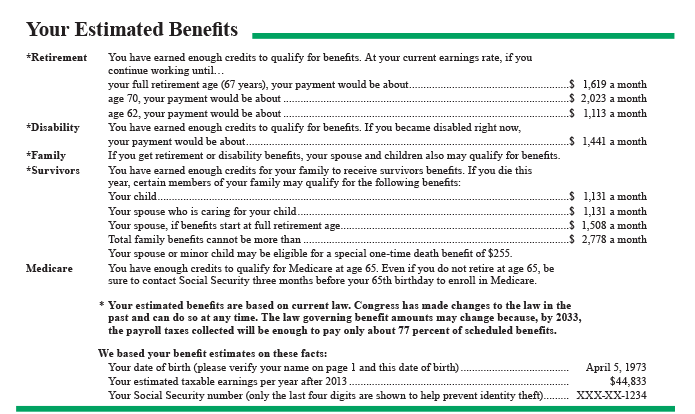 But whenever the topic of Social Security comes up, it is a nice reminder there’s a possibility I might get as much as $3,000+/month in “extra benefits” once I’m old enough to collect. If blessed, I’d like to use this bonus money to spoil my grandchildren at the amusement park. The onus is on all of us to save for our own retirement through pre-tax and after-tax savings. Currently, workers under 50 can sock away up to $19,000 a year in an employer-sponsored 401(k), and $6,000 a year in an IRA. There are also catchup contributions for workers over 50. But the easiest way to ensure you’ll have enough in retirement is to simply keep working. Yes, at the present time, you can collect Social Security benefits as early as age 62. But if you start collecting at 62, you will only get 75% of your full potential benefits. It is only after you turn 66 or 67, depending on your birth year, that you are eligible to receive full Social Security benefits. Then, for each year after that you delay collecting Social Security benefits until age 70, you gain an 8% permanent boost that remains in effect for the rest of your life. Therefore, stop eating so much sugar and start exercising more. You don’t necessarily have to work while you wait to earn maximum Social Security benefits. But working does do wonders for your retirement accounts because, for each additional year you work, you are not only boosting your retirement savings and Social Security benefits, you are also delaying one year of withdrawals. The chances of you winning the lottery are slim-to-none. Therefore, as soon as you view Social Security as a lottery ticket, you’ll do better securing your own retirement future based on what you can control. If Social Security is there to be collected, then wonderful. If not, you never counted on it in the first place. The American government has asked me to thank you for contributing into their underfunded and mismanaged national pension system. But without our forefathers, we’d be nowhere, so pay up! 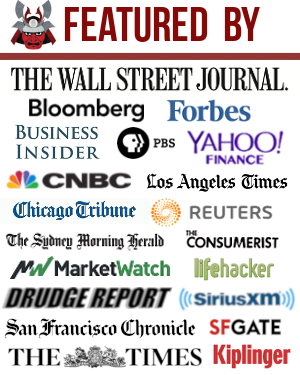 Protect your wealth: Check out Personal Capital, the web’s #1 free wealth management tool to get a better handle on your finances. In addition to better money oversight, run your investments through their award-winning Investment Checkup tool to see exactly how much you are paying in fees. I was paying $1,700 a year in fees I had no idea I was paying. Do these numbers for the average annual spending in retirement hold true for married couples? If not, is there a significant difference? Our three-legged stool is Pensions, Qualified Savings & Non-qualified Savings. I turn 62 this year and my wife turns 58 so we may have some chance to see SS payments, even if they are reduced. Perhaps our stool can turn into a chair with the 4th leg added. Somehow I can’t help but visualize Edvard Munch’s The Scream, every time i read that. Social security was intended to be a last resort, but I would sure hate for it to be my last resort. I’ve never factored in social security as an essential part of my retirement strategy. At around $1,800 a month (less that 22k per year) and, in our case, likely to be 85% taxable, it’s just not something people should plan on being dependent on, even though my wife will get about the same as I do. Right now I see it primarily as a secondary, or even tertiary, aid to getting from retirement, at 63, to age 70, without drawing on retirement funds until RMD forces us to. After that, and assuming we are not on the verge of a three decade long great depression, it may be nice to have, but it won’t be an essential, a situation that would make me extremely uneasy considering we really don’t know what our crazy politicians are going to do to it after 2034, when the bills come due. I’m not counting on social security in my retirement planning. The system is under funded so they will either need to push out the age to receive benefits, lower benefits or increase taxes. If I receive social security then it will be a welcome surprise to offset other things that likely won’t go to plan. I’ll be the contrarian and say that I don’t think one should discount social security from retirement planning or even view it as remote as winning the lottery. I doubt it’s going to go away because it’s very popular and always will be; older people are going to remain politically active and protect it. It may change, but I would wager that it probably won’t ever change dramatically. Also, social security can be very valuable, and to ignore it might cause some of us to work many more years of our lives unnecessarily. I think most of us value time and youth more than money, and especially dying with money. 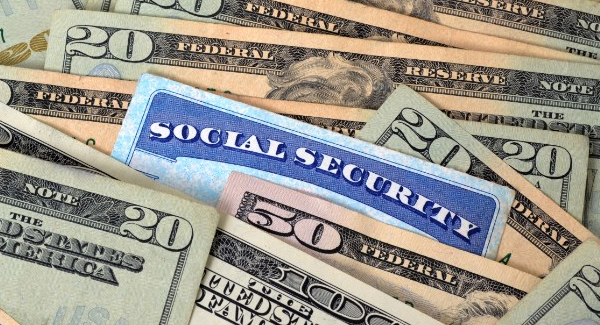 There are real consequences to betting that social security won’t exist. Personally, I know I’ll be okay with out, but it is still a part of my long term plan and I believe that it will exist and it will cover some of my expenses in old age. Instead of stealth wealth, isn’t it much more likely that people over 65 are plugging the gaps in their meager savings by continuing to work? It’s whatever you observe. If you observe a lot of 65+-year-old is working, then you are probably right. If not, then you are probably wrong. I believe in this great nation. I believe we are healthier and stronger and smarter than the media makes us out to be. We will do whatever it takes to provide for our family. Look around and see how many people you can identify in the workforce that are over 65. I’m sure there are many in this age bracket that would love to work but few companies will give them that opportunity and there are only so many Walmart greeter jobs to go around. My 82 year old mother lives in a 55+ community. She lives off of a small widows pension and Social Security. Since this is not enough to live on, she ended up getting a reverse mortgage. This is VERY common with her neighbors. Most of her friends use a reverse mortgage to survive. If you were wondering how seniors were spending more than they seemed to have…this is one way. Very interesting about the reverse mortgage! Thanks for sharing. May I ask what are the reasons why you don’t help her out financially if her finances can’t cover any gaps given you know her situation? My siblings and I did help out the first year after my father passed. But, my mother felt uncomfortable taking the money. A friend of hers told her about getting a reverse mortgage. She felt better using the equity in her home than feeling the need torely on us. She also went ahead and set up the reverse mortgage on her own before talking to any of her kids about it. She needed to feel independent. Thanks for sharing the importance of feeling independent. I can see how we all want that, especially as we age, since we spent most of our lives as independent people. Hope your mom does well! My take is that if one maintains his/her expenses low, there is no problem with the lower amount of stash for retirement. It depends on one’s preference. Some may want a higher expenses to live a more comfortable lifestyle. I will think that such people will have to save a large amount of fund for more cushy retirement. There is no right or wrong solutions. It will be up to individual’s preference. To each of their own. I’m old enough there is a much lower chance that Social Security will see any significant changes before I am able to draw it, far too many people my age for elected officials to risk gray wrath. I agree for someone your age and wealth you’ll possibly never get most of it, but they’ll grandfather in people like me that are already past 62. And the amount is attractive, I don’t need it but my wife and I will get over $71,000 if we don’t take it until age 70 which is my plan. It is hard to believe that the average is so low when the benefits they show for me are relatively high. But I earned pretty much over the maximun for every year of my career and if you do that the benefits are far higher than the average number. That’s really enough to live on but I could also pull six figures from my investments conservatively forever. Hopefully they won’t means test the benefits in my lifetime but I would be surprised if they don’t in yours. But the safe approach is to not need it anyway which is the one we took. All these loaded seniors must be working as greeters, grocery store clerks, fast food employees, and bus drivers just to get some fresh air. Strangely, they’re also on SNAP and other assistance programs. Hmm. I highly doubt that the average retiree has a secret stash of money. My guess is that the average retiree is pulling out more than a 4% safe withdrawal rate. Given these low 401K balances, the average person is not saving what is recommended during their working years. I doubt they are withdrawing what is recommended in retirement either. What are your reasons for such pessimism? If if things are so dire for the average retiree today, why aren’t we hearing more about this issue? Doesn’t the SWR plan for a 30 year time horizon? The life expectancy for a 65 year old is only about 20 years. Also, the simulations show lots of scenarios where a 4% withdrawal rate will result in you ending up with a balance higher than you started with so withdrawing more than 4% may not result in a dire situation for most cohorts. Perhaps some people reduce their spending as their balances drop. Perhaps some people get help from family. Honestly, I don’t know. Just a thought. (Sorry for the double post. I didn’t realize replies got reviewed before posting). Many retirees in the boomer set are in denial until everything breaks down. I learned this when my wife and I moved to an area with a lot of retirees. It was stunning how so many in a single community had not planned and or thought SS was going to be so much more. Or, they figured they would keep earning money in their careers or small businesses forever….not paying attention to the realities of aging. Sadly, especially the women on our block of this generation…classic….paid no attention to what their husbands did or did not set aside, what their death benefits would be and or SS for spouse; let life insurance premiums laps prior to husband death…and bam…they lose the house, aches and pains creep into the joins where they can hardly move, business gets harder to run…total downhill slide. One women we know is practically homeless. She went from funning a successful business to being flat broke, slinging retail in small shops where along with SS is not enough to make rent. She gets food from local food banks and struggles to pay for meds on Medicare which are still extremely expensive. We help when we can but this one example among so many begins to be a dark hole that’s impossible to fill. Very sad. Take care of your health, save your money, keep up your network or reach out and develop one as you age if you don’t have one now. We’ll all need it when we’re there. Agree with another poster that the taxes are overstated. Also, my suspicion is that the average retiree is pulling out more than a 4% safe withdrawal rate and likely even more than 5%. If the average 401K balance is this small, then the average person isn’t really doing a good job planning for the future. I doubt this changes upon retirement. One other major component you’re missing is spouse’s SS benefit either from own work history or spousal benefit. And I agree with other posts that the effective tax rate with that level of compensation will be much less than 20%. As I understand it, the spousal benefit is 50% of your spouse’s benefit. This is instead of taking social security based on your own earnings record. For example, I became a SAHM in 2014 after working for 10 years (plus minimal income earned from ages 14-19), so my projected benefit is only $1255/month. However my spouse has a projected benefit of $3082, so if everything stays the same, I would be eligible for $1541. Got it. So you will get $1,255/month + $1,541/month if your spouse dies, for a total of $2,796? The spousal benefit is a benefit of being officially married. I’m glad at least children qualify for benefits too. It’s just sad that one must die to receive the benefits. No, I will get the larger of the two, so $1541, while my spouse is alive (and he is collecting his $3082). Then if he predeceases me I will receive the $3082, at that point it is called a survivor benefit. Ah! Interesting about getting the larger of the two only. Question is do you still pay into SS when withdrawing your 401k or is that just a tax when your working. FICA isn’t due on a lot of retirement income, like Social Security, pensions, annuities, and 401k and IRA distributions. You will still pay FICA taxes on income earned from a post-retirement job. Our entire tax system seems designed to prevent people from wanting to work more and be more productive, not the other way around. Just a Tax on wages. Social Security was never meant to be one’s primary or sole retirement income source. It was assumed that retirement would be like a three-legged stool. Social Security is one leg, company pension is the 2nd leg and personal savings i the 3rd leg. There was a balance – government, business & individual each managed one leg of the stool. As time passed, company pensions went the way of the dodo bird as was replaced by 401k programs. Now the 3 legs can be thought of as 1) Social Security, 2) 401k (and/or pension for the minority of workers who still receive a pension) and 3) taxable accounts or savings. If you haven’t read it, you might find this article interesting, partially because of the 3 legs analogy. Have a totally basic question. Im Canadian, we have Canada Pension Plan and Old Age Security. Canada pension is funded like a real pension plan, we contribute and our contributions are invested and separated from other government revenues and payments come out of that we we retire. OAS is basically a ponzi scheme in that my tax contributions into it are funding current retired people. Which model is the US social security? Have to say that I have worked for 40 years and started at 16, have a good 35 years in as SS goes by your top 35. Get this I’m 56 years old, if I work till l am 70 I will get 10 extra dollars per month…It’s safe to say that if I was to be working till 70, it would not make a difference in my case, I already hit the ceiling. Time to get out of the work force. Bingo! The marginal return is not worth it due to the cap. Congrats for getting your 35 years! Sam, minor comment about the math on Taxes. As much as we like to complain about our federal taxes the effective tax rate that you are using of 20% would appear to be significantly higher than the actual tax rates for this year. If you’re single and earn $50,111 this year, take the full deduction and then apply the federal tax rates for a single filer you will net $45,756 after federal taxes, an effective rate of 8.7%, not the 20% you used for the assumption. If you’re married filing jointly, you need to earn $48,227 to net $45,756 after federal taxes (assuming full deduction etc) for a net rate of 5.1%. When you take these numbers into account you don’t quite need the same level of savings to deliver the income numbers. Obviously one needs to consider the source of marginal income when calculating the tax rates (dividends, capital gains, tax deferred income accounts, bonds which may or may not be subject to federal taxes), but hard to support a 20% federal tax rate on income in the range that was suggested. Very true. I like to be conservative in my tax assumptions in general so we can be surprised on the upside. State taxes also depend by state. And who knows what other taxes might pop up in the future. Have to agree with Mark. A 20% tax assumption is ridiculously high. Most states don’t tax SS and a 5% effective federal rate is much more accurate and likely to last for a very long time as the government is more likely to raise tax on the rich and not the people barely getting by on 45-55k a year. I am comfortably retired now. But in hindsight, wish I had invested more in an HSA. The money in the stock market if you wish. After age 65, it can function like a traditional IRA, and can even be used to pay medical insurance. At any age, it can be used to pay medical bills, dental bills – all tax free. Dear Financial Samurai: You are a stud! This post shows exactly why you’re the man. You posted the retirement topic on Monday and then turn right back around and do a follow up post today with the requested information from your readers. That’s good stuff…. thanks for all you do! 100T in unfunded liabilities just on the federal level. The money will be printed. China and Russia saw this long ago, hence they stopped recycling surpluses into US debt back in 2014. Domestic demand has picked up the slack due to Money market reform and the change in commercial bank hold to maturity accounting. Yet the tsunami of treasury supply destined to crash the shore will likely lead to a vastly reduced exchange rate for the USD. This on top of the fact all currencies will have to be marked down due to odious sovereign debt loads. I agree with you that SSI (or ODSI as I was corrected the other day) is not enough to live on but it was never billed to be enough to live comfortably on. It was billed enough to survive. It was billed as enough to have a place to live, have groceries, maybe a little extra. It was not billed as lets get a new car every few years, and a few vacations a year to the Bahamas (which is what $40k a year does for you vs $24k). I will say, I have seen my dad’s SS statements, and he earned the max (for him it was $125k) for 35 years. His benefit is no where near the max. He didn’t take it until he was 70 either as he had his (cut the fully funded by the Obama administration and gave to the UAW) GM pension so he didn’t “need” it. This whole process just further makes me assume I will get shafted in the future and never count on OSDI (SSI), and if I get something – I will be lucky. I think they should get rid of the cap (or raise it) and beef up the Social Security fund. There shouldn’t be too many people opposing that, right? We’re not counting on Social Security benefits, but it would be nice. My father in law uses his small benefit as a donation fund. I’d love to do that someday. As for the gap between benefit + pension and spending? I think most retirees just make do somehow. With that level of income, they qualify for some government benefits. That’s enough to slide by for many people. Many retirees probably practice stealth poverty rather than stealth wealth. I think they should get rid of the cap (or raise it) and beef up the Social Security fund for men who retire early and wives continue to work. There shouldn’t be too many people opposing that, right? Wow, it’s easy to raise other people’s taxes. I’m with you Bill, the guy just complains about work and sponges off of his wife, they should raise his taxes. Unfortunately we continue to see increase of this thinking ala AOC, Bernie and most of the High Profile Democrats. It is high time to start emphasizing dialogue that high lites the “Greed” of the Democrat. The word Greed needs to be rightly switched to defining the D Party instead of the R party. Coveting what others have is pure Greed – no other way to describe it. It’s easy to say “Raise taxes” when you don’t work and are dependent on your wife. Right Joe? Joe made a healthy livable wage from his site last year.. something like $70K. Not bad for Portland. Like earning $130K if in SF. I would oppose it. If there a limit to the benefit, then there needs to be a limit to the amount of income subject to the tax. Simple as that. Since I plan to retire early, I view Social Security as a backstop. In the average case, Social Security is irrelevant. In the worst case, which the safe withdraw percentages are aiming for, you use SS to reduce the percentage you need to take out at the point it’s available, helping tide over the reduction in the capital base. Because of this, for the amount I use the amount I would get at 62 if I retired today. I use 62 because the point is a backstop-again it’s irrelevant in the average case. This adds 10-30 basis points to the safe withdrawal percentage depending how early your retire. By only assuming it in the worst case, it also likely protects you from being means tested out. I always tell people I will be happy if Social Security can pay the 77% of estimated benefits mentioned in the statement. Anyway, the calculator on the site assumes future earnings and projects my benefits at age 67 to be $1842/mo. I downloaded the manual calculator which allows the entry of future earnings so I could enter zeros after age 48 (yay FIRE), and the result drops to $1412/mo at age 67. Social security will be a nice little bonus as long as I don’t need to use the entire amount to make up for increases in health care. Fortunately, I am retired military so my health care expenses should be lower than most once I have to switch to Medicare because I’ll have Tricare as my supplement. I’d even add that those earning the average pension (especially those who worked for the government) would NOT be eligible for the average amount of social security (if at all). For example, those who started in the federal government prior to 1984, which would be the bulk of those over 65 today collecting pensions, did NOT pay into social security at all. The government pension offset law also reduces any social security benefits they may be due by 2/3 of their government pension. Similarly, those who get “dependent” benefits (spouses, widows, widowers) have their benefit offset by the dollar amount of their own retirement benefit. The good thing though is: if you didn’t pay into SS, you don’t get SS and vice versa. You’re not getting robbed of SS if you get a pension and didn’t pay into SS. I’m 38. It says my benefit will be $3800 if I collect at age 68. Is that meant to be in today’s dollars and adjusted for inflation? Or is that in 2049 dollars and worth less than half of what it is today. Not sure it’s adjusted for future inflation, but I know it includes assumptions like you continuing to earn your current income until you are in your 60s. I haven’t seen any calculators which allow for early retirement in the forecast model. It is current $ and yes it assumes you will continue to earn the last posted amount until your full. Retirement age – 66 or 67 for most readers of this blog. You can go to the SS site where there is a tool to do an estimate for early retirement – they factor in the 0’s, etc and give you an estimate compared to if you worked until full retirement. It’s a great tool in long term planning. What’s funny is that I was inspired by this article to log onto SSA.gov to see what my latest was. They didn’t accept my password that I have, so I got locked out. The next day I try again and try and answer my three questions. Got locked out. Now I have to have my PW physically mailed to me somewhere or something. I’m assuming most people don’t log onto SSA.gov frequently, and this same thing will happen to some people. If I pass away, and I don’t know my PW now… how the heck is my spouse going to get it? I got to make sure everything is good w/ my SS this week. That is the amount you would receive in 2049. So it won’t be worth much. Only correct if the salary stays the same for 30 more years. No one knows what your benefit will be in 30 years since. among other things, no one knows what inflation will be. This is all so true, although I am not sure about the comparison to the typically binary lottery ticket. If I recall correctly, among those paying into SS, only 6% pay the maximum amount. My sense is that includes “1099 earners” and self-employed who pay SS with their tax return. That group may be one way to define higher-earning Americans. 1099 earners pay about double – they are self employed – so the pay the employer and employee portion. More numbers, love it man! I read the title of your post and said “uhh, duh?”, but I have to remember that you’re writing for the general public who might indeed not realize these truths. The SS trust fund will be depleted by 2014 according to all projections. Congress must do something to change the system. Most likely, they’ll get rid of the cap on how much you can pay into it in one year, means test it, and up the age to get benefits. Any of these or a combo of all three are likely. But no politician wants to touch it because ALL politicians are self-serving types who prize staying in office over doing what needs to be done. So it’s like a train wreck happening slowly, and we can just sit and watch. I think the easiest thing for them to do more people and a higher percentage of the SS benefits. They would be hoping people do NOT realize this basically a cut to SS benefits. that is “tax” more people. Getting more people working would certainly help. Means testing? I could see politicians proposing this. But I see this as a typical government rewarding bad behavior (not saving) and punishing good behavior (saving and planning for the future). What message would this really send to those starting in the work force… if you save and plan for the future, you’re a sucker because you’ll pay into FICA but get nothing back because you have “means”. Also, if Congress intends to means test social security, the should also means test congressional pensions… if they have the means, they don’t get the pension! This is a perfect follow up ot your previous post Sam. I too view Social Security like a lottery ticket, I doubt that it will be completely eliminated by the time I need it but I would be a fool to think that the benefits currently being paid out will remain the same when it is my turn to collect it (and share the same sentiment that it is indeed mismanaged, I have written about it comparing social security to a Ponzi scheme with the only difference that this time it is mandatory and of a scale that makes Ponzi and Madoff look like amatuers). So when planning for my retirement I usually leave Social Security out of the loop and whatever I do receive will be a bonus. Another great point is to remember for those who do retire early that if you don’t log in those 35 years of work, every year left because you retire early will count as $0 earning and bring down your average quite a bit when they calculate your final benefit). I also strongly advise not drawing social security until the last moment, precisely to capture the 8% annual increase for every year you leave it alone. Hard to get that kind of guaranteed return. Happy to see a redone analysis of retirement spending incorporating other sources of income in retirement. Not showing the full picture provided some worrying first takes on the state of retirees in America. However, pensions and Social Security go a long way (as you show) to defuse this income-spending gap. Much like a bucket with holes, the water couldn’t be replaced fast enough before the bucket ran dry. With this fuller picture, there appears to be more water added each refill. And your advice about viewing Social Security as a lottery ticket is spot on with my thinking. While it would be a very nice thing to receive in retirement, I’m not counting on it to be there in any appreciable way. I consider it a payback to my parents for raising me when I look at my W-2. Excellent well researched and thought out article! I work for Social Security and I think your information is accurate and fair and balanced. My SS estimated retirement benefit is close to the max but which makes sense as I have paid maximum SS taxes for at least the last 25 years. Thanks David. As someone who actually works for Social Security, I cherish your comment on this Social Security post.